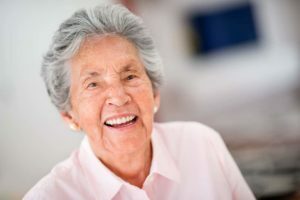 Within the demographic of the aging generation, there is a growing number of vulnerable patients that cannot leave their homes to get adequate dental care, much less something more specific, like dental extractions. Whether it’s due to illness or something more severe such as dementia or Alzheimer’s, finding someone to handle elderly dental extractions in NYC can be much like finding a needle in a haystack. There is no need to fret. Dr. Alisa Kauffman of Geriatric House Call Dentistry is well equipped in both training and compassion to handle even the most challenging set of circumstances. A dental extraction is when a tooth has to be removed, usually because of disease, trauma or crowding. Because leaving the home or care facility might be not feasible, in-home dental extractions may be the only option for your loved one. When it comes to elderly dental extractions, NYC’s top choice is definitely Dr. Kauffman. With her 30+ years of extensive experience and her passion for meeting the needs of vulnerable older patients, coupled with her compassionate heart and tender, precise touch, it is not difficult to figure out why Dr. Kauffman was named one of the top 25 dentists in the country. If you’ve been looking for a reliable, trustworthy, highly qualified dentist who performs dental extractions for the elderly in NYC in the comfort and familiarity of their own home or care facility, the search is over! Dr. Kauffman is the right geriatric dentist for your loved one. Give her a call and see why she is the very best in the industry when it comes to elderly dental extractions in NYC. Call her today at (917)826-6278 for a consultation. She’ll be delighted to answer and questions and calm any concerns you may have.